Tiffany-Style Solitaire with 3.16 carat Heart Center and One Matching Band - 14k White Gold - Ring Size 4.0-8.5 was added to your cart. 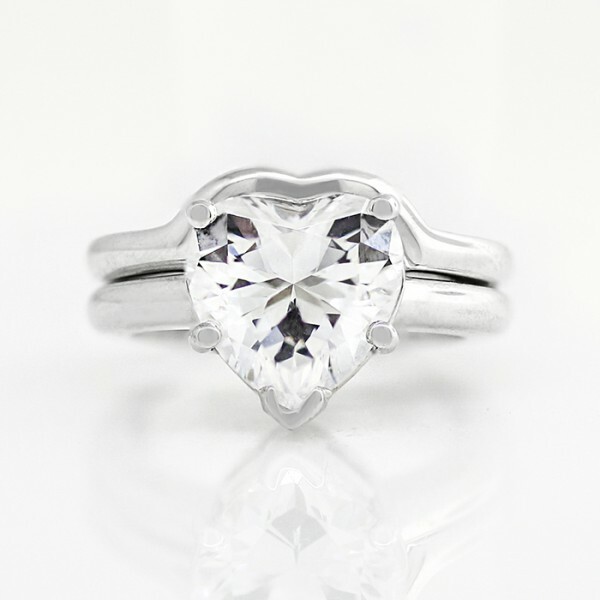 Center Stone: 3.16 carat Heart cut Nexus Diamond. My wife loves this TIFFANY-STYLE SOLITAIRE for our anniversary!